Allergies incessantly run in the family – leaving us sneezing perpetually. The inevitable changes in weather, dust build-up and air quality in Manila are the unavoidable sources of my daily sneezing. I love dogs but unfortunately for me, pet dander is another allergen that I have to deal with. So I had to find an easy solution that didn’t involve extra cleaning. 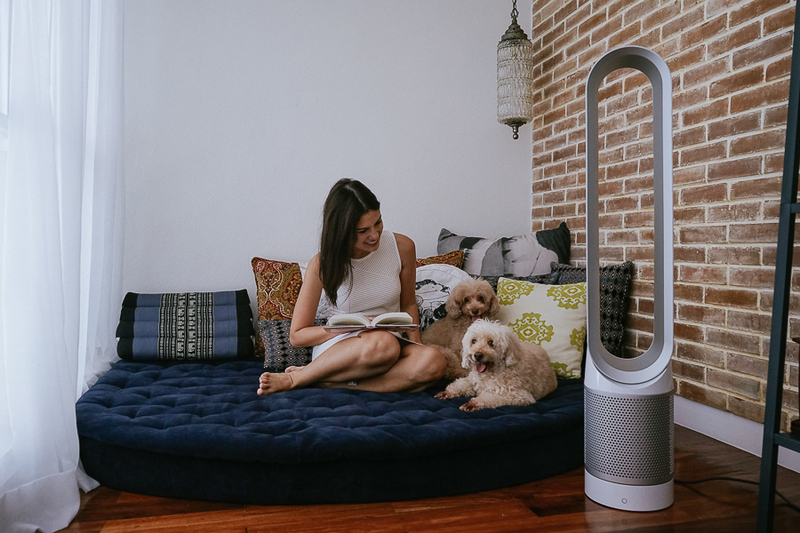 I did my research and found that the premium technology of Dyson has been in the business of clean for years and have developed machines approved by allergy foundations around the world. 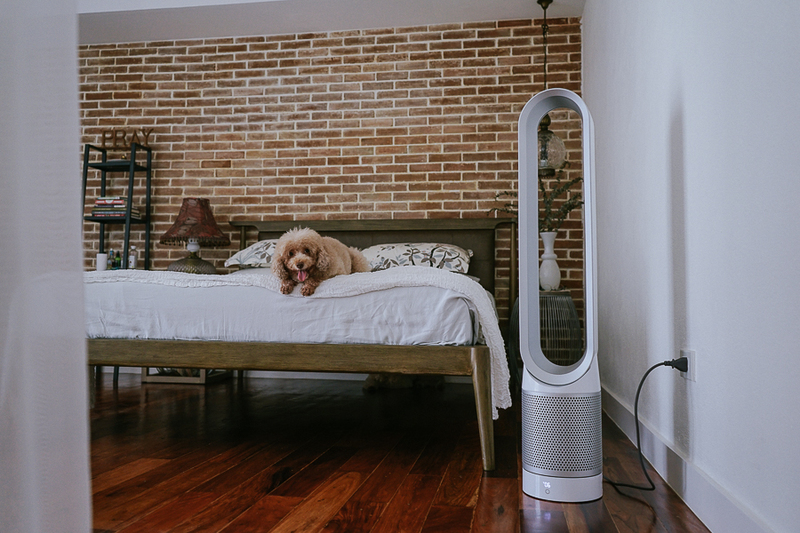 I initially wanted the Dyson vacuum cleaner but since I don’t sleep with air conditioning and prefer electric fans, I figured the Dyson Pure Cool Link should be my first buy as it’s something I would use everyday. 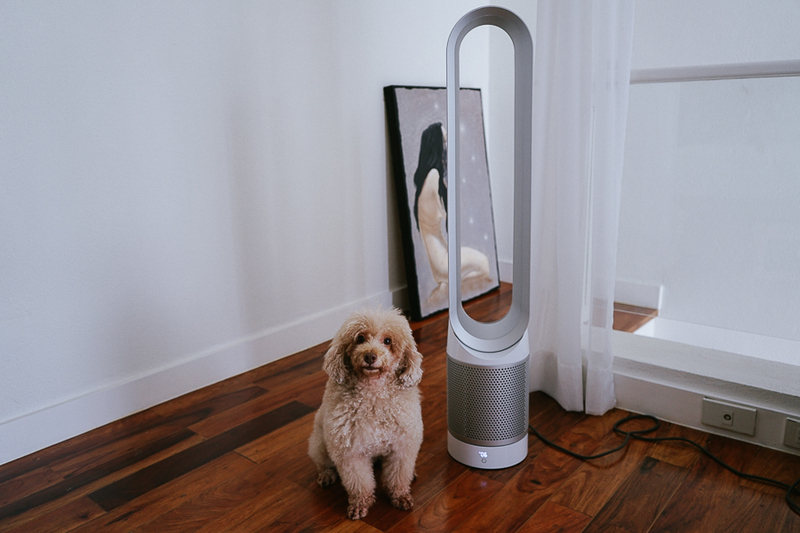 It’s this quiet air purifier that also acts as a fan! So while it improves the air quality in my room, it also circulates the clean air to keep me cool. Totally worth the purchase. 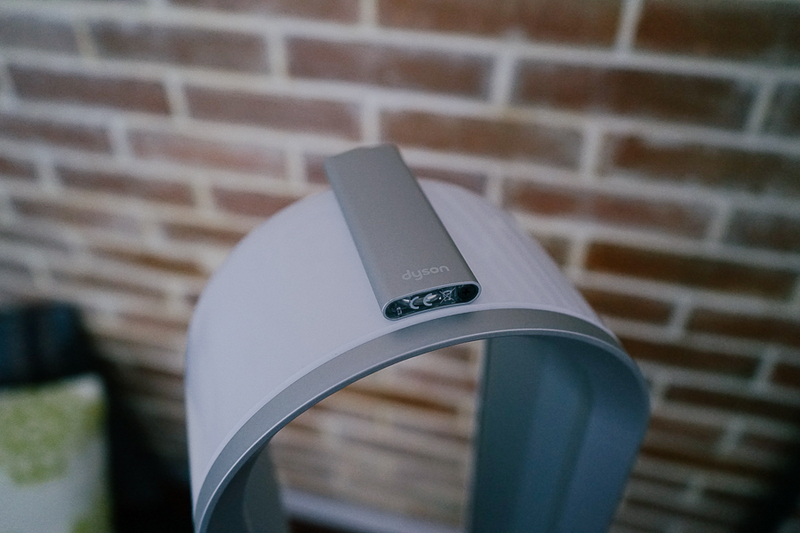 The knowledgeable sales expert at the Greenbelt 5 concept store explained that the Dyson Pure Cool Link has a unique 360 degree HEPA filter that captures tiny and harmful particles as small as 0.1 microns and other nasty stuff that aren’t visible to the naked eye. Its activated carbon layer, on the other hand, captures smells – great for pet lovers like me. If that wasn’t cool enough, the Dyson Link app for my iPhone even tells me the quality of the air in my room and keeps track of the conditions. It will also warn me when it’s time to get a replacement filter at the store. For 24 hours of use daily, I only need to replace it twice a year. Not bad for something that’ll help me breathe better! See that little silver thing on top? That’s the magnetized remote that conveniently rests on the top of the fan. 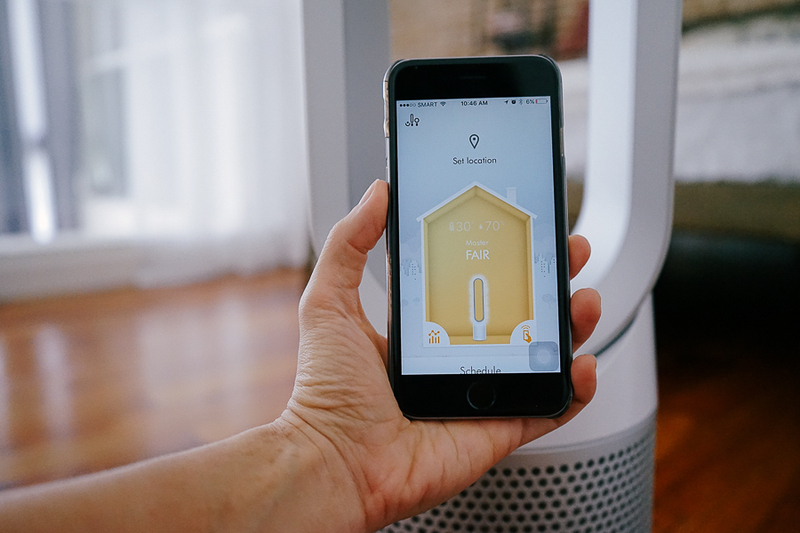 But I can operate and program the fan from the app as well, which means I can purify the air in my room even if I’m away from home. 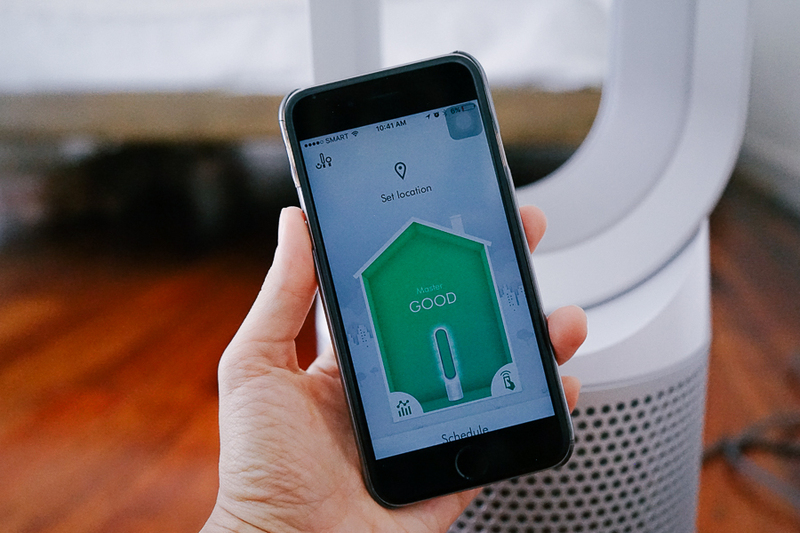 By far, I think the Dyson Pure Cool Link is the smartest gadget I’ve ever purchased for my home. I adore the beautiful design of this machine and appreciate that I don’t get a runny nose in the morning so often anymore! Now I’m itching (figuratively, not literally) to get the vacuum cleaner and clean the rest of my house! Hello! Thanks for sharing this. 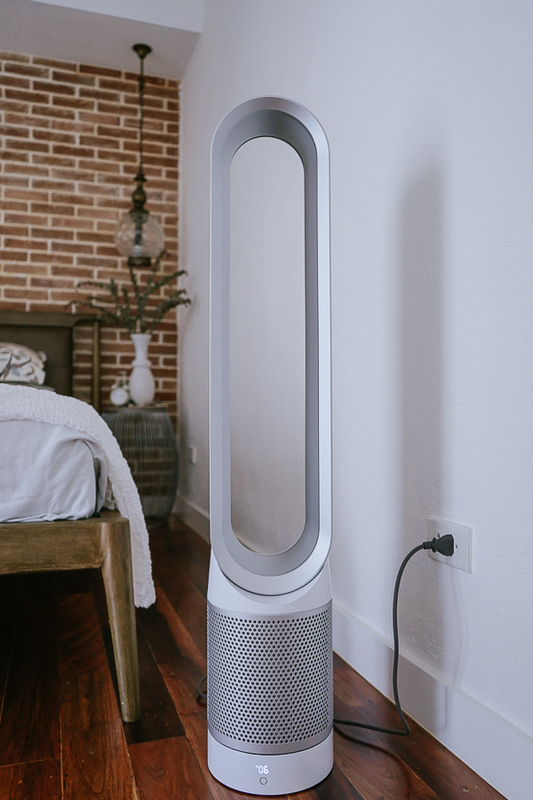 Just wondering how much is the price of this Dyson Air Purifier? I admire you for not sleeping in air conditioning. I still live with my parents but when I sleep in my room, I barely use my air con. I would turn it on occasionally especially during the summer also just for it to be used. I have a small bed in my parents’ room and when it’s too hot, I’d sleep there. Anyway, I really do admire your preference since nowadays, celebrities like yourself are all about comfort and living a luxurious life. Your life choices inspire me so much. God bless you. PS: You might see me a lot on twitter, tagging you and all. I’m just really a fan ever since your first DermStrata days. Lol! Thank you for your kind words! Minimalism is such an admirable way of life for me. Simplicity is the way to go!